A short 100-double A5 page booklet. On 100 practical tools for projects and planning. These Technoscopes, tools for planning, are based on the Planning Language, Planguage, well proven industrially for decades. 1 Requirements; especially value and quality requirements quantified. Each major subject is presented in terms of 20 distinct tools, which will give you practical ideas for your everyday work as a professional planner. Most ideas can be cherry-picked and used immediately. Many of the ideas can be made to work together to give a bigger clearer picture of a complex problem. 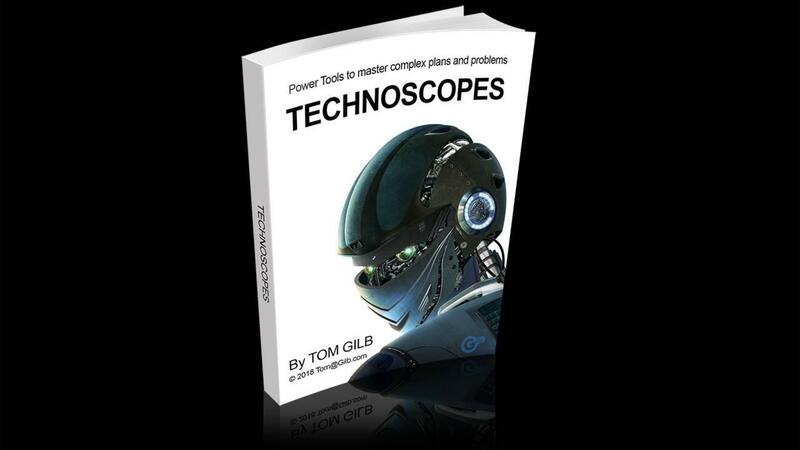 The Techoscopes work on small projects and scale up to the largest national government projects, in practice.